Microsoft Power BI is a collection of software services, apps, and connectors that work together to turn your unrelated sources of data into coherent, visually immersive, and interactive insights. 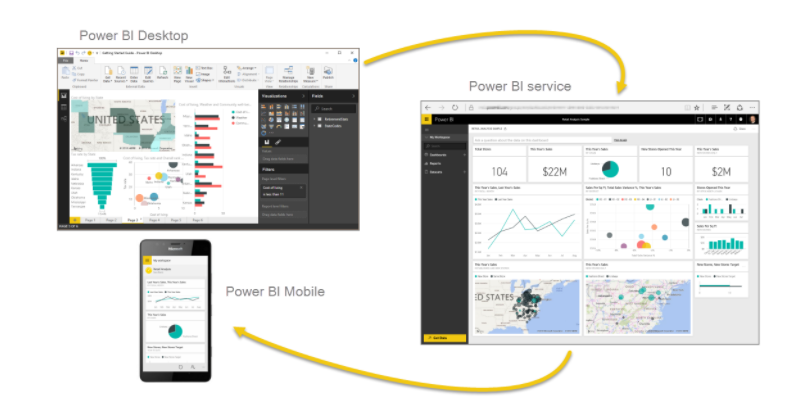 Whether your data is a simple Excel spreadsheet, or a collection of cloud-based and on-premises hybrid data warehouses, Microsoft Power BI lets you easily connect to your data sources, visualize what’s important, and share that with anyone. Microsoft Power BI consists of a Windows desktop application called Power BI Desktop, an online SaaS (Software as a Service) service called the Power BI service, and mobile Power BI apps available on Windows phones and tablets, as well as for iOS and Android devices. These three elements – the Desktop, the service, and Mobile – are designed to let people create, share, and consume business insights in the way that serves them, or their role, most effectively. A common flow of work in Power BI begins in Power BI Desktop, where a report is created. That report is then published to the Power BI service, and then shared so users of Power BI Mobile apps can consume the information. 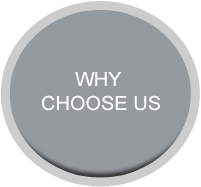 Click here to contact one of our consultants to learn more about how Microsoft Power BI can help your business.